Let's start by taking a look at the inverse of the exponential function, f (x) = 2x . The composition of a function with its inverse returns the starting value, x. This concept will be used to solve equations involving exponentials and logarithms. 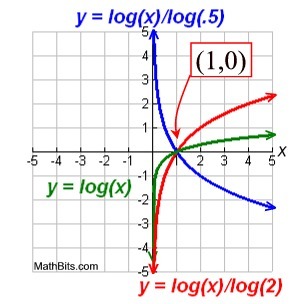 Now that we have a basic idea of a logarithmic function, let's take a closer look at its graph. where b is any number such that b > 0, b≠ 1, and x > 0. The function is read "log base b of x". 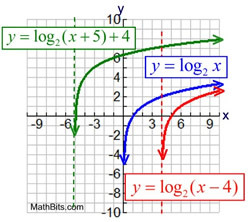 The logarithm y is the exponent to which b must be raised to get x. The inverse of y = bx, will be x = by (where the x and y change places). 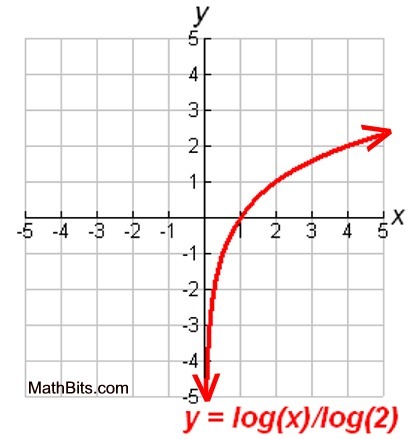 Note that y (the logarithm) is actually an exponent. The value of b (the 2) is referred to as the base of the logarithm. Notice that x must be positive. Most logarithmic graphs resemble this same basic shape. Notice that this graph is very, very close to the y-axis but does not cross it. 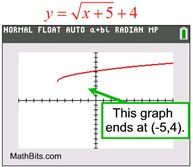 The x-values of this graph are always positive, and the y-values increase as the graph progresses to the right (as seen in the above graph). In a logarithmic graph, the "rate of change" increases (or decreases) across the graph. 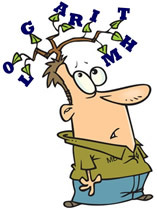 Logarithms with base 10 are called common logarithms and are written without the 10 showing. 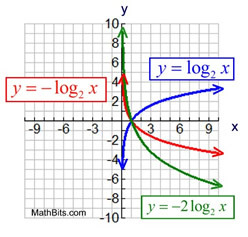 Logarithms with the base e are called natural logarithms and are written using the notation ln(x). The graphs of functions of the form have certain characteristics in common. Logarithmic functions are one-to-one functions. • graph is asymptotic to the y-axis - gets very, very close to the y-axis but, in this case, does not touch it or cross it. 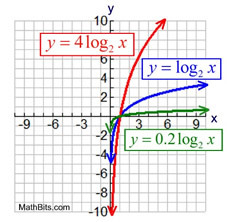 By examining the nature of the logarithmic graph, we have seen that the parent function will stay to the right of the x-axis, unless acted upon by a transformation. 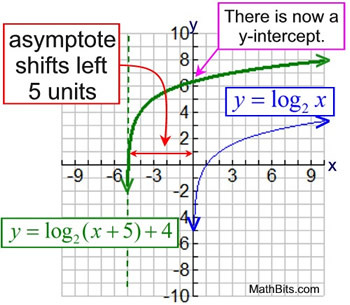 • The parent function, y = logb x, will always have an x-intercept of one, occurring at the ordered pair of (1,0). There is no y-intercept with the parent function since it is asymptotic to the y-axis (approaches the y-axis but does not touch or cross it). • The transformed parent function of the form y = a logb x, will also always have a x-intercept of 1, occurring at the ordered pair of (1, 0). 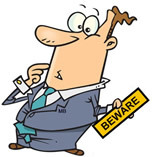 Note that the value of a may be positive or negative. Like the parent function, this transformation will be asymptotic to the y-axis, and will have no y-intercept. • If the transformed parent function includes a vertical or horizontal shift, all bets are off. The horizontal shift will affect the possibility of a y-intercept and the vertical shift will affect the x-intercept. In this situation, you will need to examine the graph carefully to determine what is happening. 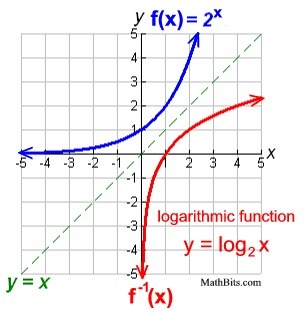 The end behavior of a logarithmic graph also depends upon whether you are dealing with the parent function or with one of its transformations. As x approaches infinity, the y-values slowly get larger, approaching infinity. As x approaches 0 from the right (denoted as x → 0+), the y-values approach negative infinity. asymptote line to the left five units. y = log 2 (0 + 5) + 4 ≈ 6.321928095.
approximately -4.94 (from the graph's table). At fist glance, these two graphs appear to be similar. But the square root graph is actually ending, while the log graph is not. 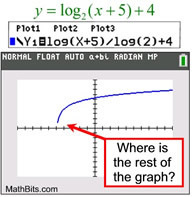 On the logarithmic graph, the calculator is "trying" to plot points on the graph to the left. But the graph is SO CLOSE to the asymptote of x = -5, there is no room to put additional pixels before it crosses over the asymptote. Plotting points "straight" down would violate the graph being a function, and the TI-84+ plots functions.